Tenneco is an $8.6 billion global manufacturer of clean air and ride performance components and systems. With approximately 31,000 employees across 23 countries, the company serves all major vehicle manufacturers and replacement market customers worldwide. Under his leadership as CEO, Tenneco established a strong record of revenue growth, higher earnings, margin expansion and annual adjusted EPS growth. He aligned the company around a vision and strategic direction that delivered profitable growth and positioned Tenneco for the future. 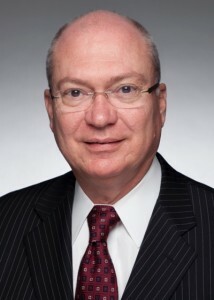 Prior to joining Tenneco in January 2007, he was with Johnson Controls, Inc. where he last served as president of the Power Solutions Group, the company’s global automotive battery business. Previously, he held leadership roles in JCI’s Automotive Systems Group and North America Operations. Sherrill began his 40-year career in the automotive industry with Ford Motor Company where he served in a broad range of engineering and manufacturing positions during a 22-year tenure. He holds a B.S. in mechanical engineering from Texas A&M University and an MBA from Indiana University’s Kelley School of Business. Sherrill currently serves as a member of the board of directors of The Allstate Corporation and Snap-on Inc. Additionally, he is an honorary vice-chair of the board of the National Association of Manufacturers, where he is past chairman of the board, and also serves on the National Governing Council of the Wilderness Society.